How does V-Ray 3.0 licensing work? ARCHLine.XP BIM 2019 Out Now! Architectural design BIM software including interior and furniture design. Costs half the price of leading BIM Softwares! Want great offers and discounts? Need 3D/BIM/CAD and Rendering help for your Projects? Talk to us, we're helping clients and providing professional consultancy services that kick! At SEE-IT-3D we work closely with our clients and continue to successfully offer sales,training and backup support for the best in class CAD/BIM and 3D presentation solutions.Utilizing many years of industry expertise and specialist knowledge, our training and support services seamlessly helps you to efficiently understand the power and importance of your chosen solution. 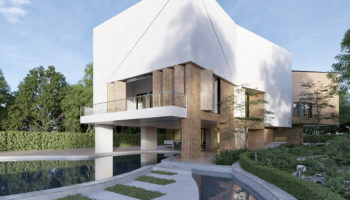 We confirm exactly how to portray professional techniques for sharp crisp and professional information in a digital and graphical approach, therefore rest assured we support you to creatively translate YOUR ideas into successful architectural,landscape,interior and construction solutions. It is our mission to provide solutions designed to help our clients meet deadlines and win! Our portfolio of 3D design solutions unquestionably allows our clients to create aesthetically pleasing,compelling designs and working documents whilst remaining practical to execute and enjoy. SEE-IT-3D are a premium provider for the best 2D and 3D design software,hardware and professional training to the United Kingdom and overseas. 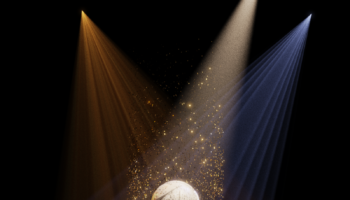 Whether you are an existing or new user looking for the best professional solution, our products portfolio and tailored packages offer a second to none solution that will improve any design workflow. 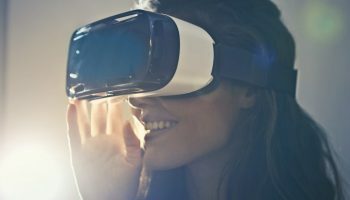 Why not complete your investment and include one of our latest custom 3D designer computer systems. Save money using cost-effective software and tailored training options now.Our main goal is to keep you ahead of your competitors using our latest technologies to stimulate YOUR services and increase profit into your business. We take pride in listening to your specific needs and current work methods.We dedicate our energy to your future goals and dreams for future success.Finally,we provide design drawing bureau services such as CAD/BIM project work and customization,3D modeling and rendering so why not SEE-IT-3D with us! At SEE-IT-3D we fully understand just how important it is for any onlookers, new potentials and existing clients to kindly spread the word claiming how our 3D design software solutions and dedicated support services to industry can firmly contribute in satisfying businesses to engage with us.Testimonials add credibility and help alleviate any worries or concerns that any prospects may have when approaching us whether it be for solution advice, purchasing any of our products or building a business training plan. Testimonials are a powerful tool to gain credibility, trust and positively assists in generating more business.We do think that in sharing just some of the following satisfied client feedback,we do trust this should help you to choose us as your solutions partner and will help to express our successful working relationships and professional service to businesses and more importantly to you. 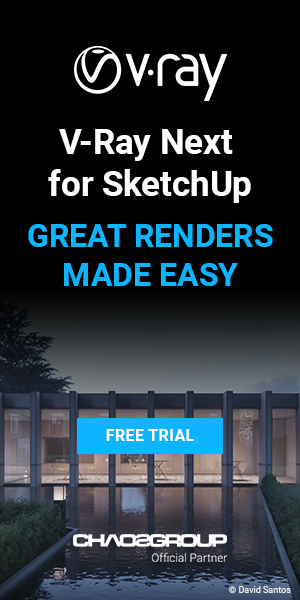 V-Ray Next for SketchUp is Out! 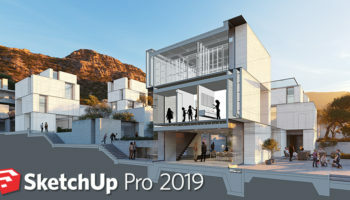 Blog-What’s New with SketchUp Pro in 2019? Trimble SketchUp PRO UK Authorized & Tailored Training.. events, private and online solutions for you! We are an official International Trimble SketchUp Reseller and Authorized Training Centre in UK supporting Architecture, Engineering and Construction. Our highly recognized professional SketchUp expertise and accredited training system continues to deliver the very best client 3D learning experience to UK and Global based clients. Our service to SketchUp is supported by many years of promoting and educating students,tutors,designers,engineers and technologists from many small to global leading design businesses, and anyone else who wishes to join the ever expanding SketchUp community. With this, we are proud to be the first professional training business that continues to deliver the very best training packages for one to one, group , private or classroom training events which are always advertised across major cities in the UK e.g London,Manchester,Bristol,Leeds,Birmingham,Glasgow,Edinburgh,Aberdeen also Wales and Ireland.We have also travelled to client overseas to pass on our skills and expertise to those who recognize our position using SketchUp. Additionally,our much envied online web training packages similarly promotes highly focused and expert knowledge to any client and we have a proven track record of client satisfaction and value. This is guaranteed to bring profit and new work processes to any business large or small. We coach our trainers to learn the best 3D training approaches enabling them to promote fluid support the AEC markets. Since 2004 James Ogston’ s SketchUp relationship started as one of the first authorized SketchUp trainers with @Last Software (Original SketchUp Creators). James Ogston then proudly became Google’s first and longest established authorized training centre for UK and Europe, and now as a founder of See-IT-3D we continue to strive to fulfil our dream in providing value for money software and training services around 3D design that are second to none. We are eager and driven to support you as your Trimble SketchUp Pro accredited design software sales and training experts with fast and affordable high-quality professional modelling and rendering services for your business or your clients. Learn 3D now and impress both yourself and your clients! At SEE-IT-3D we always offer any client a great opportunity to find the precise and cost effective 3D design software and hardware solution for business. Check Our Online webstore! 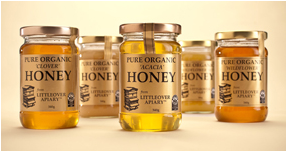 View our current sales offers. Subscribe to our store and benefit. Enscape Version 2.5 Out Now! Enscape Pricing – Check Pricing Now!